We have returned to normal life. We made it home from New Orleans- what a crazy amazing town. 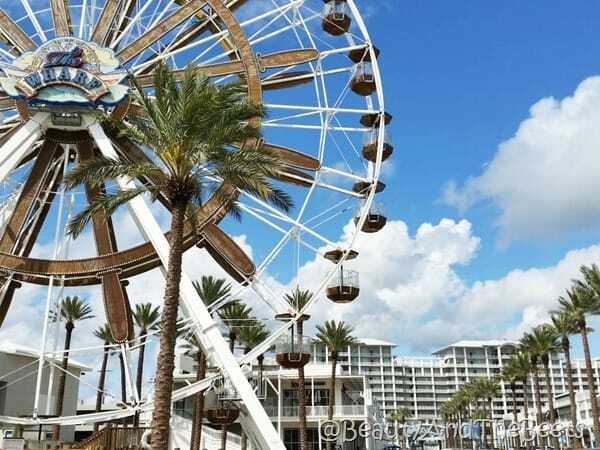 I am going to cover our happenings in NOLA all next week, but today I just want to highlight events from being on the road for Friday Favorites. The drive itself is always one of the big highlights of any road trip Mr. Beet and I take. This particular trip we filled our time listening to music and podcasts. 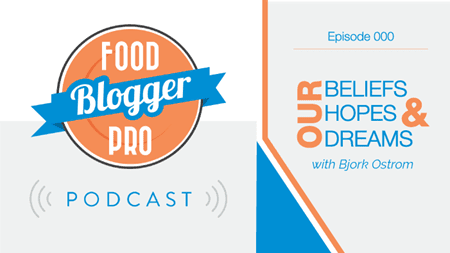 We love listening to Bjork on the Food Blogger Pro podcast and Darren on the Pro Blogger Podcast. We had stayed outside of Pensacola the first night as we had gotten a late start leaving Orlando. So by the time we reached Mobile the next morning we were ready for breakfast. 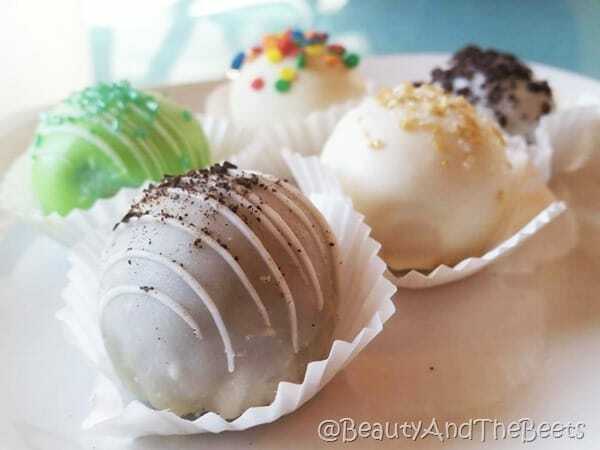 I found a little place called Cream & Sugar Cafe in the Oakleigh Neighborhood, they are famous for their cake balls. So along with a Southern Pecan iced coffee, I ordered a plate full of cake. Birthday cake, key lime cake and caramel sea salt were just among a few of the flavors. Whoa. How does not find cake balls everywhere? They are prefect! We also ate some real food there too and I discovered that steamed milk is a million times more tasty in granola than plain cold milk. So one of the things I really dislike to do is stop for gas. It is just such a mundane boring task. Until we stopped for gas. 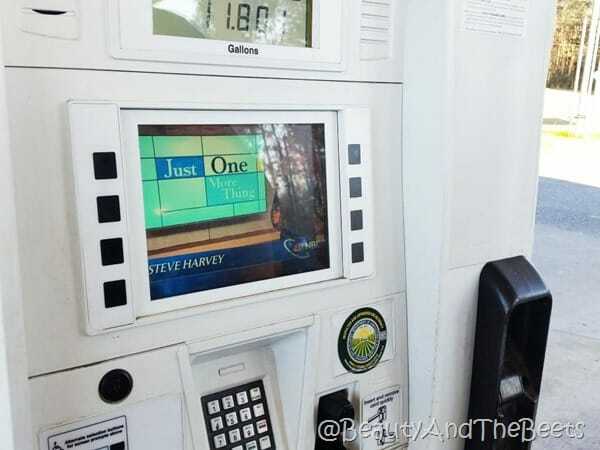 And this gas station, in the middle of nowhere, had entertainment at the pump. A little video screen with clips from Jimmy Fallon, Access Hollywood and other NBC shows. Why isn’t this everywhere across the country? 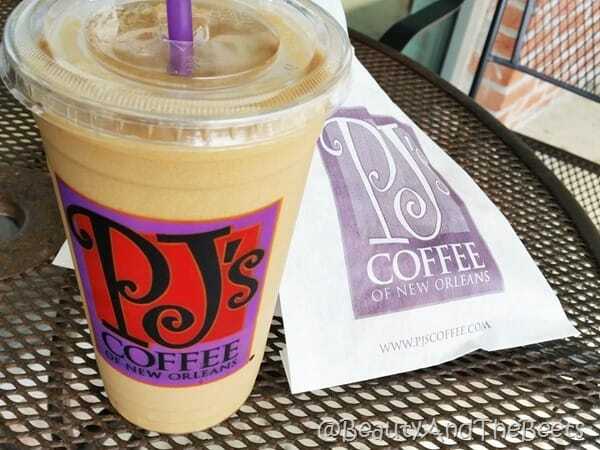 On the way back to Florida I had to stop for a King Cake coffee at PJ’s Coffee, a New Orleans institution. It was perfect for the long trip back to Florida. We stopped in Orange Beach, Alabama for some lunch. We first stopped at The Wharf, the site for the World Food Championships 2016. Last year, I had a blast at WFC here in the Orlando area. I am really hoping to make it to Orange Beach this year for the festivities. Just down the street from The Wharf is a great restaurant called Brick and Spoon. 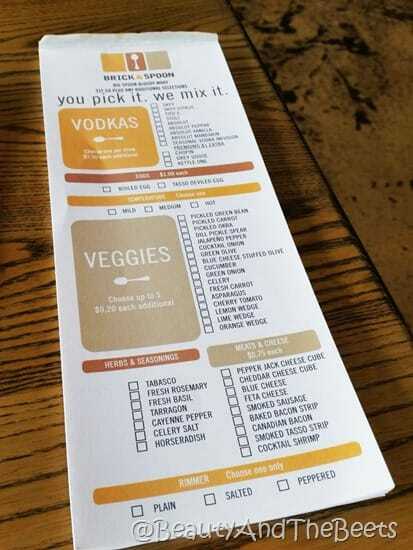 The one thing they are known for is their build your own Bloody Mary. So many options- I had to indulge. I had a Non-Alcoholic version with a pickled green bean, a pickled carrot, cherry tomato, blue cheese stuffed olive, lemon and pickled okra. I spiced it up with tabasco and horseradish. Yum. 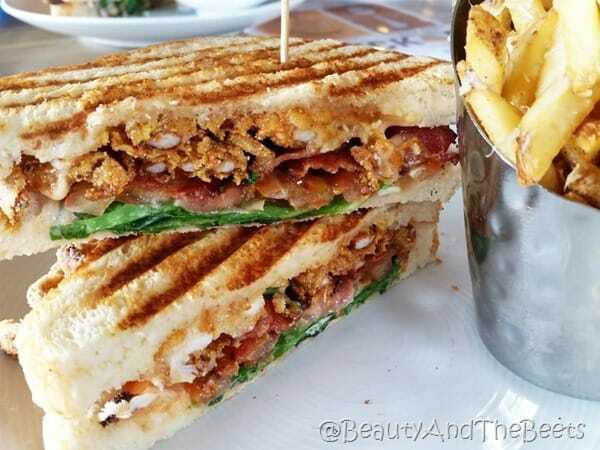 Then we noshed on a grilled veggie sandwich, a soft shell crab BLT (minus the B) and parmesan truffle fries. I look forward to trying one of their breakfast benedicts- I have my eye on the cornmeal dusted oyster benedict. Oy. And that’s all I have for Friday Favorites. I am linking up with Heather from Life in Leggings, Andrea fromMomfessionals, Narci from Grace and Love Blog, Erika from A Little Bit of Everything, Angela from Happy Fit Mama and Katie from Running 4 Cupcakes. 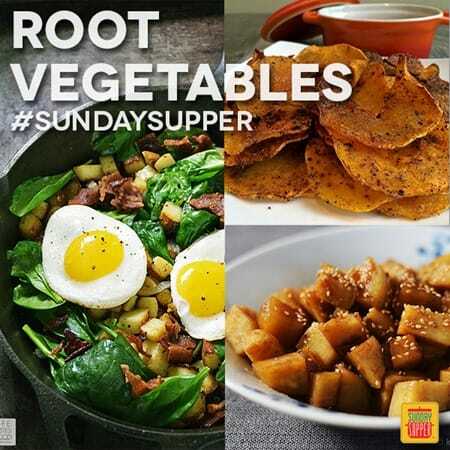 Thanks for stopping by- see you on Sunday with a recipe for #SundaySupper – this week’s theme is root vegetables. What will we make?? 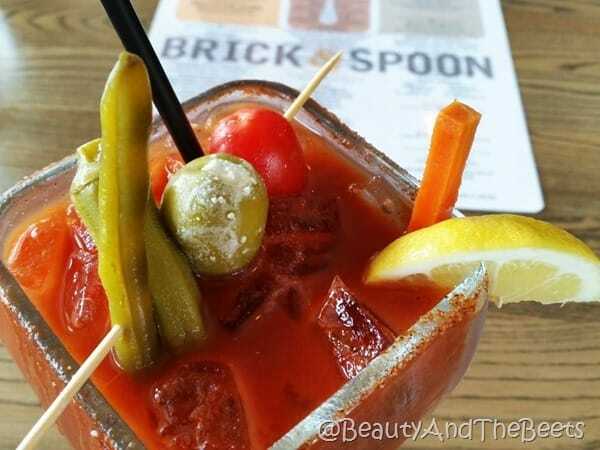 How do you like your Bloody Mary? Uhm, those cake balls sound SO good! Looks like you had a great time! Have a great weekend! Now I have to start experimenting with making my own cake balls! Poor Mr. Beet, he will have to eat them all. 🙂 Happy Friday! 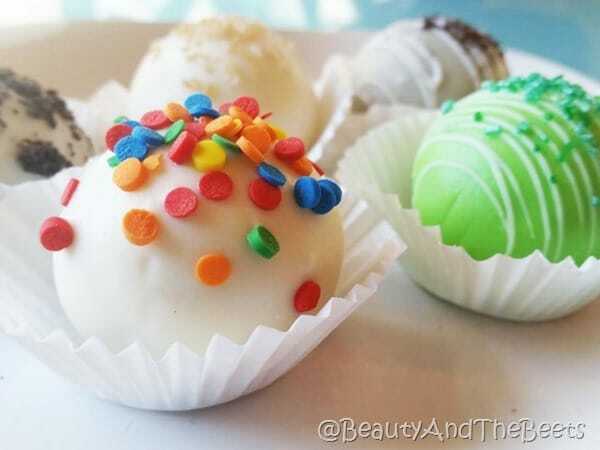 Those cake balls look like a beautiful work of art!! I hope your vacation continues to be a HUGE blessing!! God is SO GOOD! It was a working vacay I guess- all the travel I get to do is truly a blessing! steamed milk in granola!? I must try that! It’s so simple, right? And it made such a HUGE difference! are you a member on their site? I love it- looking forward to meeting Bjork and Lindsey in Utah this spring! 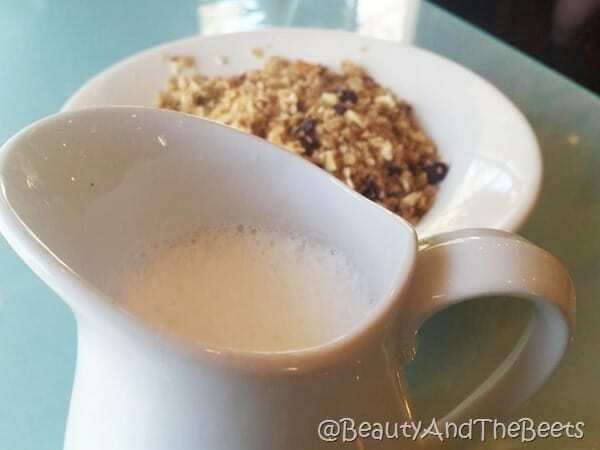 I love steamed milk in granola but never ever do it at home. It just seems like a going out for breakfast thing to do. Thanks for linking up to High 5 Friday! Wow those cake balls looks awesome! Surprising we don’t see them at more bakeries.. I think I’ve only ever seen them at Starbucks!